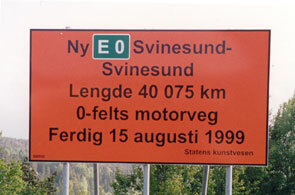 The signs were designed to remind the public about the roadwork signs. 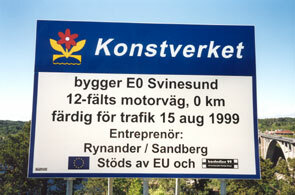 They played with our old preconceptions about the road conditions in Sweden compared to Norway. They also played with the mathematic limit of a function telling us that if you approach a border from one side it will be totally different than if you approach it from the other side.